Next Thursday, April 11, multi-platform sports network Stadium will debut a documentary titled, "Pooh: The Derrick Rose Story," which will chronicle Derrick Rose's journey from his childhood in Englewood, Illinois to his rise to superstardom in the NBA. According to Stadium, “Pooh: The Derrick Rose Story” will provide viewers with a never before seen look at the meteoric rise of the young Chicago superstar that was suddenly derailed by devastating injuries and unrealistic expectations for a hometown hero. "Rose's story is one of survival - through violence, poverty and injury - the one time heir to Michael Jordan's iconic throne has never forgotten where he came from as he continues to search for his own inner peace." Check out the official trailer in the video player embedded below. Ahead of the film's debut, Stadium will be airing a pair of games from Rose's high school career starting at 3pm ET on April 11. Additionally, the film will be bookended by pre and post-shows featuring interviews with guests and other film-related topics. According to CordCutterNews.com, Stadium is available on Sling, Fubo, Pluto, Xumo, PlayStation Vue, Stirr, Twitch and on a standalone channel on Roku. 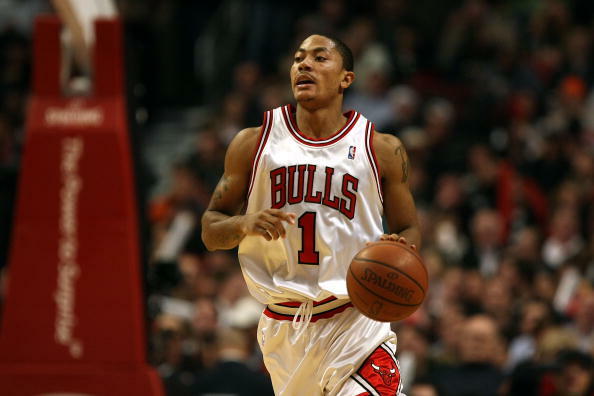 Rose, 30, recently underwent successful arthroscopic surgery to remove bone chips from his right elbow and will be sidelined indefinitely. In 51 games with the Minnesota Timberwolves this season, he averaged 18 points and 4.3 assists.